When it comes to gambling hot spots, there are essentially two options: Las Vegas and everywhere else. While Tucson residents have the benefit of proximity, a weekend trip to Sin City isn’t always, ahem, in the cards. With local casinos offering Vegas style amenities and comps, there’s plenty of fun to be had without having to endure TSA or a seven hour road trip. Before you make that ATM withdrawal, here’s what you should know about Tucson casinos. This desert gem currently stands as the highest rated among its competitors and for good reason. The resort boasts live blackjack, bingo, and poker, nearly 1,000 slot machines, and plenty of restaurants to appease the whole party from PY Steakhouse to Mexican cuisine. Lose your shirt gambling? Well then you’re already in an ideal state to lie down and unwind with a hot stone massage from Hiapsi Spa. Reserve one of 215 rooms and celebrate your winnings in style knowing it’s the only casino resort in Arizona to win the prestigious Forbes Four Star Award. If entertainment is a top priority, plan your next concert at AVA Amphitheatre or peruse the resort’s event schedule for live music in the bar and lounge. While not as highly acclaimed as Casino Del Sol, Desert Diamond offers many of the same amenities with a slightly different spin. As the slogan “It’s your diamond; choose your setting” so cleverly suggests, guests have three locations at which to win big—Tucson, Sahuarita, and Why. The latter is the simplest of the three, offering slots for travelers passing through while Tucson and Sahuarita function as one-stop-shop entertainment destinations. Unlike its competitors, Desert Diamond caters specifically to the younger crowd with dance music pumping throughout Tucson’s Monsoon nightclub every Friday and Saturday night. It also offers a non-smoking poker room for the health conscious crowd that wants to enjoy their first hand without secondhand effects. Visit the Ko:Sin Ki or Diamond Buffets for a plate (or three) that just might rival the best all-you-can-eats of Las Vegas. Although Casino of the Sun bears the same name as its sister resort, it does indeed differ and stand alone as a true classic among Tucson casinos. 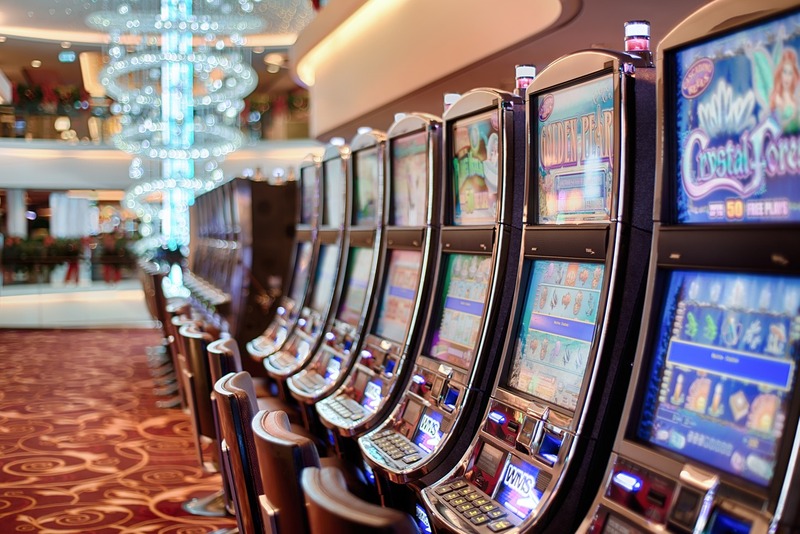 Owned by the Pascua Yaqui Tribe, this slots-only casino appeals to the no-nonsense gambler who enjoys a stiff drink and a smoke without all the hoopla of long lines and overcrowded tables. Just like Vegas, guests have the convenience of a ticket system which can be cashed at the closest kiosk. In comparison to Desert Diamond, one online reviewer writes, “You earn points faster, they offer great comp[s], have better service…and free entertainment.” Try your luck here and determine for yourself if Casino of the Sun is worth a second round. Whether you want to dress up or double down, Tucson casinos offer a variety of entertainment options that won’t soon disappoint. For more information or to reserve a room, visit: www.casinodelsolresort.com or www.ddcaz.com. The Residences at The Ritz-Carlton, Dove Mountain is an exclusive community featuring some of the most exquisite luxury homes in Tucson, Arizona. This luxury Dove Mountain real estate community includes expansive custom homesites as well as eight superb floor plans, giving you the opportunity to design your dream home. Management by The Ritz-Carlton provides the added touch of world-class service, with valets and concierges, and the option of cooks and housekeepers. Your Tucson custom home will be a relaxing haven where you can unwind while we handle the details of housekeeping, yard work and exterior maintenance. For more information visit www.theresidencesdovemountain.com.